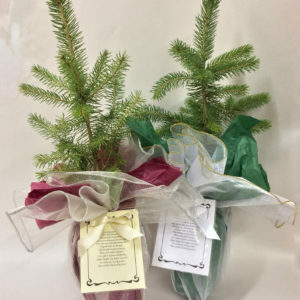 Live Evergreen Tree Seedlings, Favors and Gifts for Weddings, Memorial/Remembrance, Promotional, or any Green Event! 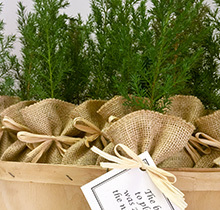 We have 30+ years’ experience growing containerized, plug seedlings and 20+ years providing tree seedling favors for all of your green projects and events. 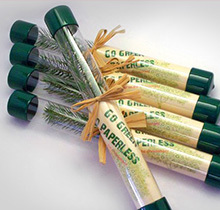 With the main focus on tree seedlings, you can rest assured that you'll be getting the best. 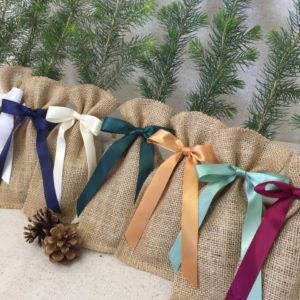 ALL of our tree seedling favors and gifts are shipped in time to arrive fresh and healthy! Please notify us within 24 hours if your product does not arrive in satisfactory condition. Because of the "nature" of our product, please allow at least three weeks lead time in order to provide you with the best service possible. Containerized plug tree seedlings such as ours, offer flexibility and survivability. 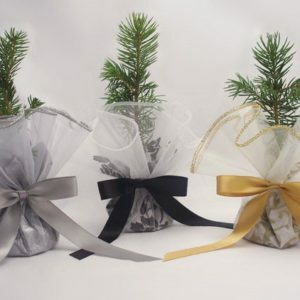 The roots remain protected by the soil they are grown in, eliminating shock when transplanting so the tree seedling establishes easily and settles into the soil better. It all starts here, from seed to tree, providing the quality you deserve. 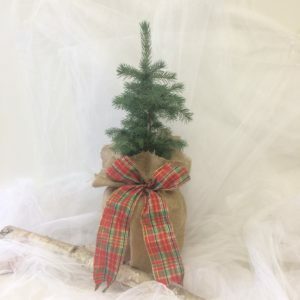 New Holiday trees coming soon. Check back for pictures in a week or two. At The GreenWorld Project ® you are more than just a customer and “customer service” is more than just a concept. We’re honored you’ve included us in your special event and we take that honor seriously. Our goal is to help you make the selection that best meets your needs and for you to feel confident that your tree seedlings will arrive fresh and on time. 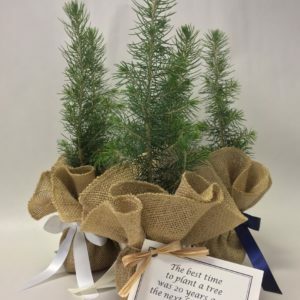 Our experienced staff is happy to answer any questions and provide you with the information needed to make tree seedlings a unique part of your special event.